How long does it take to sell a house? It depends on where you live and what’s happening in your local housing market. If it’s a seller’s market, home sellers will have an advantage. There will be lots of buyers competing for a limited number of homes. The opposite is true in a buyer’s market, when homebuyers have the upper hand. If you’re not sure how long your house will sit on the market, looking at trends might help you prepare for the home-selling process. According to Redfin, selling a home could take up to 70 days. Recent data from realtor.com suggests that once it’s listed, the median home takes about 65 days to sell. But home sale timelines vary widely by location. Seasons also play a role in determining how long it takes to sell a home. For bargain hunters, the best time to buy a house may be the fall. But home sales usually move in the same direction as the temperature. So home sales tend to heat up in the spring and summer. In July 2016, for example, the median number of days that a home in a Multiple Listing Service (a database of available homes) stayed on the market was 36 days, down from 69 days in July 2012. If you want the best idea of how long it’ll take to sell your house, you may need to contact an experienced real estate agent who’s familiar with your housing market. You can also do your own research and check out websites owned by local real estate groups and associations. Finding out how long it took to sell a home that’s similar to yours can help you come up with a realistic timetable for your own home sale. Just keep in mind that there’s more than one way to measure how long it takes to sell a house. Besides the number of days that a single home stays on the market, you may want to consider the average age of all homes for sale in a market. Another factor is how long it takes to sell all the available homes within a market. Multiple factors may affect how long it takes to sell your house. In addition to the season that you’re selling your home in and the location of your house, your home’s condition can determine how quickly it’ll sell. Putting zero effort into fixing up a home or forgetting to give it some curb appeal could keep a house on the market for months. Your home’s listing price also plays a role in whether it’ll be easy to sell. Finding a buyer for your home might be challenging if your asking price is significantly higher than everyone else’s listing price in your neighborhood. On the other hand, you don’t want to shortchange yourself by selling your house for a lot less than it’s worth. Economic conditions can influence housing markets, too. When the Federal Reserve targets a higher federal funds rate to keep inflation under control, mortgage rates may increase. Rising mortgage rates may lead buyers to postpone their search for a home. That in turn may make selling a house more difficult. The key to selling your house fast is knowing how to appeal to the homebuyers in your market. Meeting with a real estate agent can give you a good sense of what buyers are looking for. A real estate professional can also help you pick the right asking price for your home. Choosing a price that’s slightly lower than your competitors’ prices might help you sell your home quickly. Taking the time to make necessary repairs to your house can also work wonders when you want to sell it in a short period of time. And don’t forget to stage your home before you open your house to the public. Research shows that staged homes sell significantly faster than ones that are cluttered or don’t look move-in ready. Marketing your home effectively is another critical step in selling your home fast. If no one knows that your home is for sale or the photographs you provided are unattractive, selling your house could take a while. 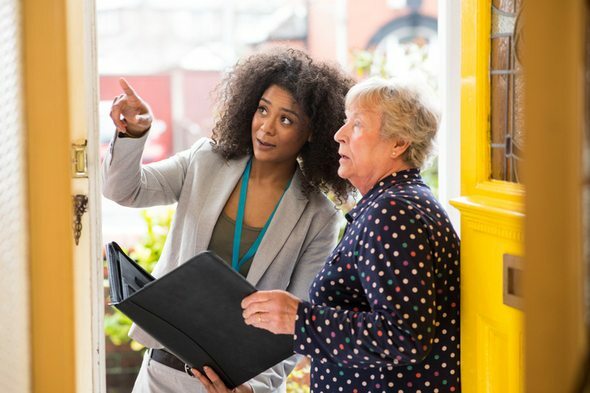 If you’re in a rush to move into another house, consider selling your house to a neighbor’s friend or relative who may be more familiar with your community than another buyer. 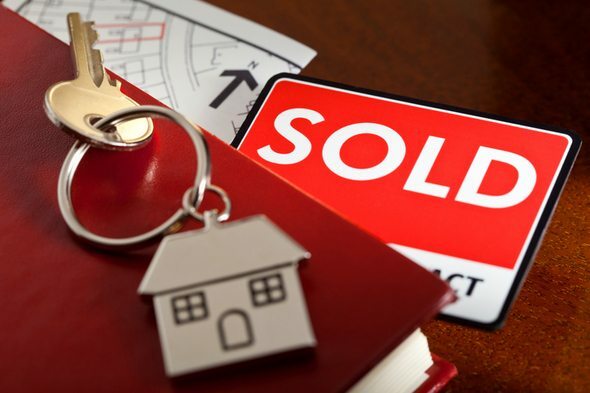 If you’re in the process of selling your house, you’re probably wondering, how long does it take to sell a house? While the average home can be sold in about two months, selling your house may take longer depending on your location and the conditions in your local housing market. Developing an effective approach to selling your house and staging and marketing it properly can be helpful when you want to sell your home as quickly as possible. Update: Home selling isn’t the only topic that SmartAdvisor can help you out with. So many people reached out to us looking for tax and long-term financial planning help, we started our own matching service to help you find a financial advisor. The SmartAdvisor matching tool can help you find a person to work with to meet your needs. First you’ll answer a series of questions about your situation and your goals. Then the program will narrow down your options to three fiduciaries who suit your needs. You can then read their profiles to learn more about them, interview them on the phone or in person and choose who to work with in the future. This allows you to find a good fit while the program does much of the hard work for you.